Color, crystallization, size… A very uncommon specimen. On the crystals, the forms of octahedron dominate but they are quite more complex than they seem, and we call attention, specially, to the existence of the spinel twin, very rare for Fluorite. 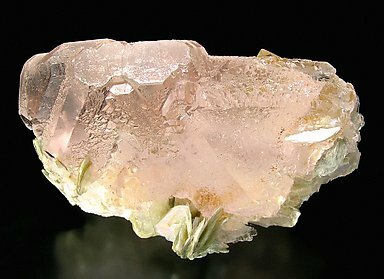 The crystals are deep pink and they are on a matrix of crystallized Muscovite in which there also are some Quartz crystals. Different and unusual.